Essex Vermont is located within five miles of Burlington International Airport and offers direct highway links to Montreal (91 miles), Boston (225 miles), and Hartford, CT (230 miles). Essex homes are a collection of older Victorian-style mixed with a more modern suburban-style throughout the newer neighborhood sections. Given the open area that surrounds Essex there are a number of houses with unobstructed views of Mt. Mansfield. There are also areas with new construction, including Pinewood Manor, which has a long standing policy of no two homes being alike. Essex offers a brand-name Outlet Fair and the New England Culinary Institute at The Inn at Essex. Essex Vermont is also home to IBM, who, along with employing approximately 6,000 people, offers a large tax contribution to the town. There are also two major golf courses within Essex: The Essex Country Club Course with par 72 layout and Links at Lang Farm offering an 18 hole executive style golf course. Both golf courses are open to all levels and abilities. Indian Brook Park is a 575 acre community park located in Essex. Besides featuring a 60 acre reservoir and non-motorized boat launch and fishing, there are also trails open throughout the area to hiking, running, mountain biking and even horseback riding. Essex offers easy access to some of the few highways that run through Vermont. This makes the ski resorts, hiking trails, and places outside of Vermont that much easier to access. 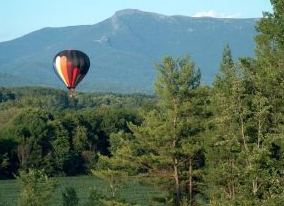 Essex is the gateway to Green Mountain recreation along the Long Trail, with many smaller trail offshoots. Essex is still an easy drive to downtown Burlington, where many enjoy the culture in and around the Church Street Marketplace. Also in Burlington is the Waterfront area with miles of paved bike paths and easy access to activities on Lake Champlain.